Unable to Finance a Home? Don’t let problem credit reporting hold you back!!! 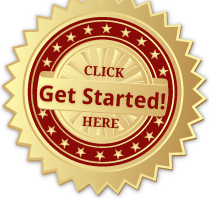 Our hugely effective, Attorney-Assisted, 100% Money Back Guaranteed Credit Itmprovement Program is for you! Yes, it’s true your credit reporting can be improved! AT NO ADDITIONAL COST TO YOU, WE RETAIN OUR EXPERIENCED ATTORNEY TO ASSURE THAT YOUR LEGAL RIGHTS ARE PROTECTED. RIGHTS THAT YOU MIGHT NOT EVEN KNOW YOU HAVE! CONTACT US TODAY AND MAKE A REAL DIFFERENCE IN YOUR FINANCIAL FUTURE! !